Internships – helping young people get a foot in the door. You might just be impressed by whom you let in. There are countless scholarly articles describing and evaluating internship programmes in just about every industry. Although the quality of the internship experience varies from employer to employer, generally these studies find that internship programmes are valuable in helping students make a connection between their studies and the world of work. It also assists them to forge useful connections and networking opportunities that further improve their employment and career prospects. In the USA where internship programmes are widely available, a study (2009) of the internships of 114 undergraduate and graduate students found that the students placed great value on the internship experience. Another American study (2010) found that significantly more full-time employment opportunities were offered to young people with internship experience. This same study found that this result held true even for average-performing interns, but that high-performing interns not only tend to get higher starting salaries, but significantly enhance the employer-perceived value of the internship programme. Almost 40% of employers reported a higher five-year retention rate among employees they’d hired via their internship programs. Benefiting your small business (according to interships.com “top talent often goes for big-name businesses. But when seeking internships, learning is the leading drawcard. Many candidates feel they’ll get more hands-on training, real experience, and mentoring opportunities with smaller organisations”). I grew up in the Free State during the late Apartheid years where I attended a typical small-town Afrikaans school. Although we certainly did not get a bad education, we were not encouraged to think critically. Instead we were mostly required to be quiet (very important), listen, accept and memorise. We also did not speak English – in fact even during English classes, we spoke about English in Afrikaans. Of course university liberated me with some much needed perspective on many issues, but I kept on failing English semester after semester and was glad to drop it as a subject at the end of my first year. It soon however became clear that if I had any hope of getting my degree (since so many textbooks are only in English) and a job eventually, I would need to get a handle on English. And I tried (hard), and I improved, but by the time I left university after my honours degree, like many South African young people today, I could read English easily, but my writing and speaking were not where it should be. After completing my degree I was privileged to learn of an American-owned consultancy, Khulisa Management Services, working in the South African development sector that offered an internship programme for graduates. Getting into the programme was tough, three days of interviews and assessment of your potential on a variety of skills: Creative and strategic thinking, information synthesis and report writing, statistical analysis and the manipulation of data, information management, presentation and communication skills, working in groups etc. Out of many people participating in the assessments, only five people were appointed on a small monthly salary for the year long programme. Given my limitations in terms of English writing and speaking, I was a little surprised, and my confidence and motivational levels enormously boosted, to be selected as one of the five. As interns it was clear that we were there to learn, but at the same time we were treated as members of the organisation who were expected to participate fully in the work of the organisation. We worked in teams on projects, always with an Associate or with one of the Directors. In consultation with clients we were assigned specific tasks covering a range of skills required for social research and the management of development projects. While doing this work you had access to the guidance and feedback of the Directors and Associates and by the time that your work was shared with the client, the Directors were happy that it was of a level that could represent the organisation. I remember documents bathed in red, reflecting the detailed corrections from my supervisor (lots of it language errors) and demanding conversations challenging my logic and conclusions etc., but during this back-and-forth work-and-review process, some of the most important learning took place. While I gained a lot of perspective and theoretical knowledge from university, I definitely did not graduate with the practical skills, or the much improved English ability, that I acquired from Khulisa. For the first time I could understand how what I have learned at university could be applied in the real world and I was extremely lucky to go through this process a paced manner, starting with easier things and systematically mastering more difficult tasks as I gained skill and confidence. There was an opportunity that if you performed really well during your internship, you could apply for and be appointed into vacant ‘Associate’ positions which were generally being filled by the best interns existing the programme. I was pleased to become an Associate, but given that the internship also allowed me entry into important networks. Soon after, a client offered me an opportunity that I could not refuse. I am incredibly thankful for what Khulisa has taught me and for the opportunities that it opened-up for me. I will never stop acknowledging the enormous difference that it made to my career – and I sincerely hope that while I was at Khulisa, the level of effort and commitment that I showed made their investment worthwhile. Finding ‘talent and potential’ might require non-traditional recruitment strategies. Given the inequalities of South Africa, it is critical that internships do not simply provide another opportunity set for the elite, but enable young people from poorer backgrounds to participate in the economy. The ITweb website recently published a very interesting article on the skills shortage in the ICT industry. Among other things this article provides examples of how some ICT companies have taken matters into their own hands in terms of dealing with these shortages: CA Southern Africa has started their own skills academy, putting ICT graduates through an intensive programme of studying, working and mentorship to get them up to speed and able to become a productive asset in employment (not necessarily at CA Southern Africa). Microsoft expanded its internship programme to train more graduates that are then placed at other ICT companies. Their model is to first find the job and then to find and train a graduate that has the potential to fit that job. Thus far, Microsoft has trained over 8 000 students, 80% of which have gained fulltime employment. MIP CEO Richard Firth explains how they changed their approach to identify talent and potential among overwhelming numbers of applications for their intern positions. They require interested candidates to solve a logic puzzle in order to be given a website address giving them access to the second part of the application process – another logic test. Once the test is completed, the website asks the applicant to e-mail contact details and a copy of their CV or areas of interest in technology. At the same time, the system tells MIP how long it took the participant to solve the puzzle. Based on the successful solving of the puzzle and the e-mailed details, MIP sends those applicants a psychometric test. Those who pass these tests are then interviewed. MIP reports that once a participant has completed all of the phases, they have found a 99% success rate in converting these individuals into successful programmers. I think that the assessment process that we had to participate in, in order to qualify as Khulisa interns, was key in illustrating my potential across a range of required skills and made it possible for Khulisa to see my overall potential despite my limitations in terms of language. Thus, in South Africa, the success of graduate internship programmes is likely correlated with the creative effort invested in identifying ‘talent and potential’. Simply scrutinizing academic records and doing an once-off interview might leave businesses disappointed, and missing out on the potential of young South Africans. What else is key when running a successful internship programme? High quality feedback and guidance: Because our work was linked to the actual work of the organisation and their reputation, timeous, high quality feedback was the norm. The possibility of a permanent position within the organisation when the internship is completed was a highly desirable safety-net and certainly motivated many high level performances from interns. Provide structure. Know and document what you want achieve through the internship, translate these into specific duties/tasks (assigning interns to specific projects apparently works best), communicate your expectations clearly, and ensure that interns have supervisors for all projects as well as a specifically assigned mentor that can provide support during their internship. Be clear about hours, pay, and the prospects of future employment at your company. Establish a regular checks and feedback system. Step in quickly if there are problems and give them the chance to try again. Begin easy or with a team. Help interns get on their feet by assigning them easier tasks initially or work that can be shared with a team. Once you have confidence in their judgment and skill level you can allow them to assume more individual responsibility. Consider the size of your business/organisation. If it is small, it might be best to hire one intern at a time to allow you enough resources to manage the intern effectively. Be creative when recruiting interns. If you run a good programme, your company/organisation will soon start to develop a reputation for the programme, which means in time there will be competition for your internships and good candidates will seek out your programme. Pay your interns. The value of an internship comes mostly from the intangibles like the networking opportunities, mentoring, access to experienced workers, on-the-job responsibilities etc. However, postgraduates have real expenses and taking very low paid or unpaid internships may not be viable for many. Especially in South Africa where many very poor families are stretching themselves to help their children get a degree, unpaid internships seems inappropriate and possibly unethical. The Employment Tax Incentive, might to a certain degree be used to subsidize intern salaries. However, the very low salary level at which the incentive is applicable is probably not appropriate for full-time graduate labour (even in an internship position). Get all your staff onboard. All your employees should know what the purpose of the internship programme is and what is expected from them in terms of it. They should also be clear on how they need to engage with and support the intern(s). Keep interns busy. Interns might not always be busy with major projects. Create a master list of bits and pieces of ‘busy’ work/tasks that need to get done by your staff (like data entry or data cleaning, updating the contacts database etc.) that interns can independently refer to whenever they don’t have anything else to do (and that they will learn from). Do exit interviews. An internship is a personal development experience for the intern, one in which they invested a lot of effort, it is therefore important to have some kind of an exit interview. Such an interview should include a reflection on what the intern has done during the internship and discuss their future. Provide honest, yet supportive feedback about their strengths and weaknesses, and advise them on areas they should improve before entering the workforce full-time. Give them a chance to be honest about their experience in your internship program which will give you important information to improve your programme. Fetola, working with the support of the Presidential Jobs Fund and others to implement what they call the Graduate Asset Programme (GAP). GAP is basically an intern-business matching service allowing graduates to register themselves and business to search for and identify interns that would be a good match for the work that they do. 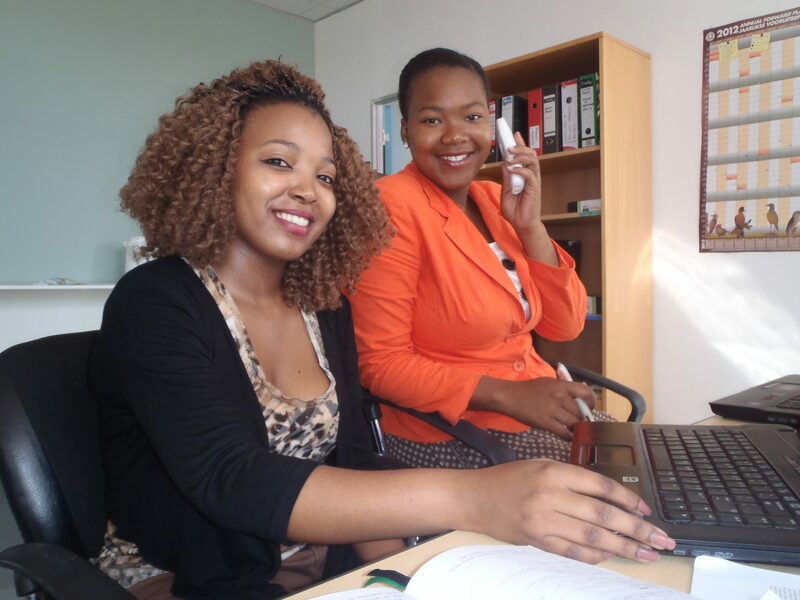 As part of the programme, registered interns are also offered work-readiness training to improve their workplace skills. The GAP programme’s Toolshed probably offers the best available South African guidelines and tools in terms of internships, including legal tools, SETA information etc. They also have great tools for graduates to help them find and prepare for internships. Another recent and useful guide for employers looking to implement an internship programme is provided by the South African Board for People Practices. This guideline also covers practical and legal aspects of establishing an internship programme. You can download it here. Internships SA provides another website where employers can advertise internships, learnerships and other opportunities. Although not specifically focused at these industries, it looks as though this website is widely used to advertise media, design, ICT and marketing internships. Career Planet is a comprehensive website providing young people with career information and access to bursaries, job adverts and of course internship opportunities (and for employers the opportunity to market their positions to a youth audience). puffandpass.co.za aims to provide a useful collection of educational information and tools to help people get started with their careers. Internships are also advertised here (among other opportunities). Investing the time and effort to recruit high quality interns, who may not be ‘perfect-in-every-way’, but is fast learning and have the potential to add value to your business. Experience: With each passing year that you implement your programme it will become more part of your culture and normal operations. If you run a good programme, the word will spread and talented young people will start competing to participate in your programme. National Association of Colleges and Employers’ (NACE). 2009. Experiential Education Survey. I would like to start a nonprofit organization that will help people to improve their lives in many different ways, especially young people. Hi Ambrose, unfortunately we don’t have internship opportunities at the moment. Have a look at http://jobstarter.co.za/ for information and career opportunities.